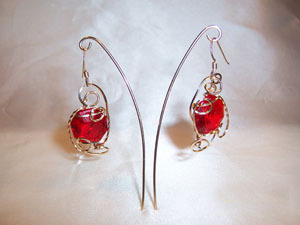 Antique Chandelier crystal earrings made from red ("pigeon blood") crystals. Red is the most rare color of lead crystal. Sculpted in 14kt rolled gold - ear wires are 14kt gold filled. Measures 1.75"x.75'.